Alternative Formats - IZW Leibniz Institute for Zoo and Wildlife Research in the Forschungsverbund Berlin e. V.
Since 2016 the Leibniz-IZW provides the annual calendar for its cooperation partners and network to inform on our research activities, methods and special highlights. Every month in 2019 we provide additional information on our webpage for the first time. To connect science closer to people we bring it to where the people are - to the subway. Visit us and other research institutions on Nov 8th, 2018 in the subway stations of Berlin. Mind The Lab started in Athens, Greece and will take place in Berlin, Germany this year for the first time. This event is organized within the Berlin Science Week 2018. 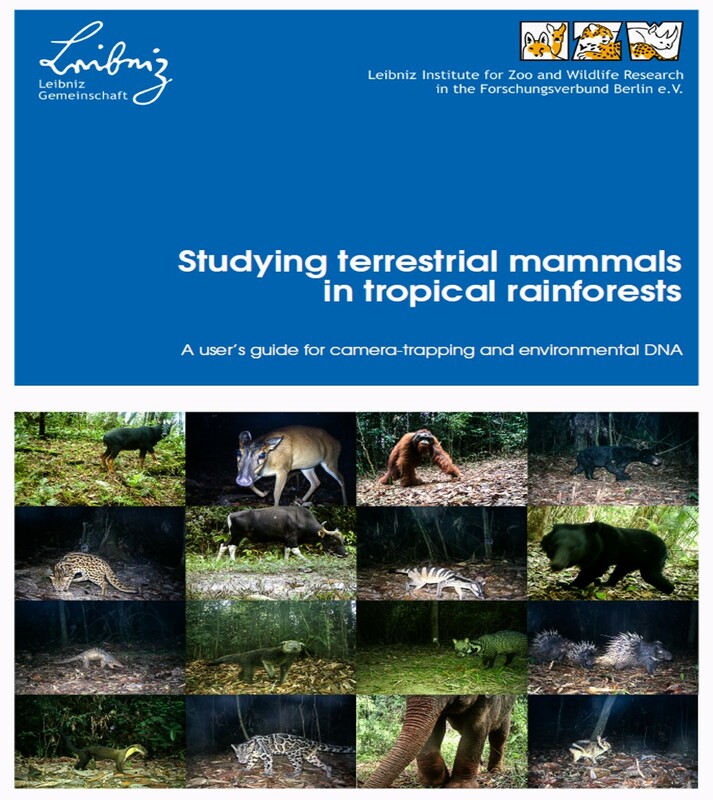 The aim of this user’s guide is to provide practitioners step-by-step instructions for biodiversity assessment and monitoring of tropical forest mammals using camera-traps and e/iDNA. Twenty years of research brought plenty of valuable insights into the secret life of free-ranging spotted hyenas in Tanzania. Among the carnivores the spotted hyena is one of the numerous species and important for the function and persistance of many african ecosystems. The Leibniz Institute for Zoo and Wildlife Research (Leibniz-IZW) has translated the results of its research into a comic. It tells a story about wild guinea pigs and teaches us that genes are not everything: environmental conditions and individual experiences can influence which passages of the genetic material are used. The Leibniz-IZW-comic "Epigenetics - bridge between genome and environment" is published by Jaja-Verlag. Read this exciting story through which we learn about oryx antelopes, life in the desert and how science works. What is the Hose's civet and how can we save it from extinction? Learn more about one of the rarest civets in the world.